LONG BEFORE there were Porsches and Corvettes, decades before Mustangs and Miatas, there was the MG TC. So the story goes, G.I.s returning after World War II brought home these sporting little English roadsters. In time, England brought us the upmarket Jaguar XK-120 too, renowned for its guaranteed top speed of 120 mph. But it was the MG TC, already an old-fashioned design by 1949, that defined the meaning of sports car for so many of us. This and the following images from R&T, October 1956. Their excuses: The TC had already been superseded by newer, albeit still traditionally styled roadsters, the TD in 1950 and TF in 1953, and by the all-enveloping-bodywork MGA in 1955. 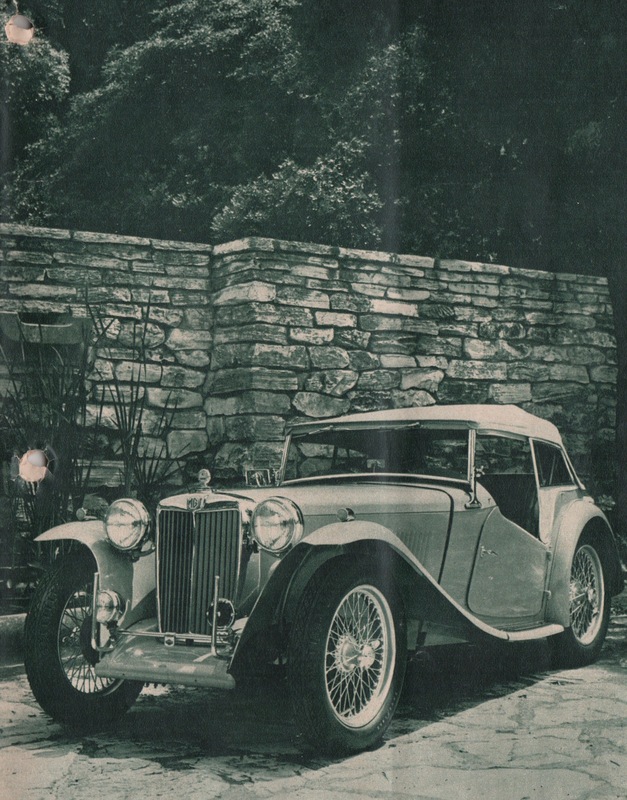 Even with its “hood” erected, the MG TC had a rakish air. Its wire wheels and tall, skinny 4.50-19 tires were part of this. Accompanying the Salon was an R&T Classic Test: “The following nostalgic report was put together from notes made by the Editor [John R. Bond at the time] over six years ago and the data was taken from an actual car, which belonged to Mrs. Bond.” Neither John nor Elaine knew it in 1956, but her TC was to hold a place of honor in R&T’s new building in 1968. The downhill must have been pronounced, as the TC’s best run on the level was 78.9 mph. What’s more, with a 0-60-mph time of 21.3 seconds, this top speed didn’t come particularly easily. The TC’s standing quarter-mile arrived in 21.8 seconds at just a tick beyond 60. Twin S.U. 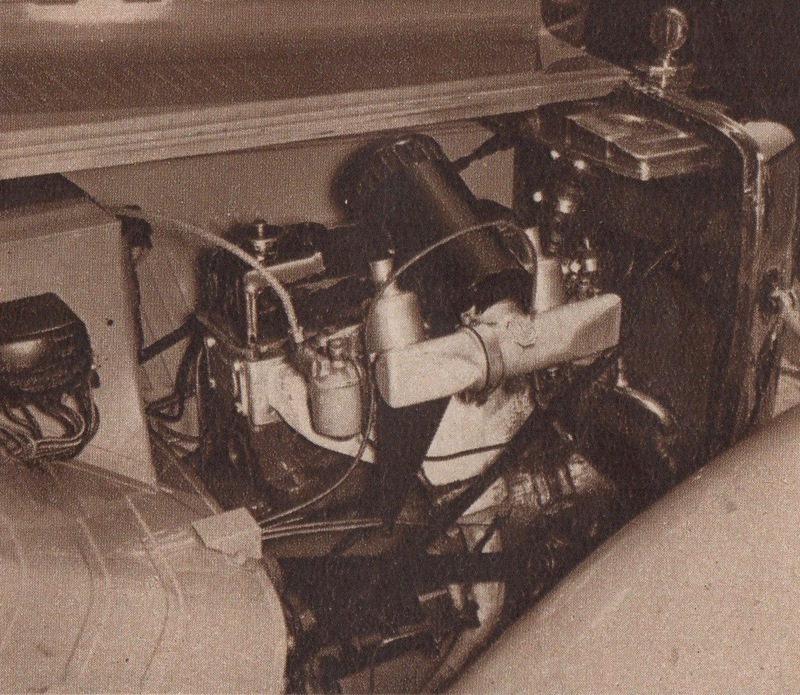 carburetors play a role in fuel flow. 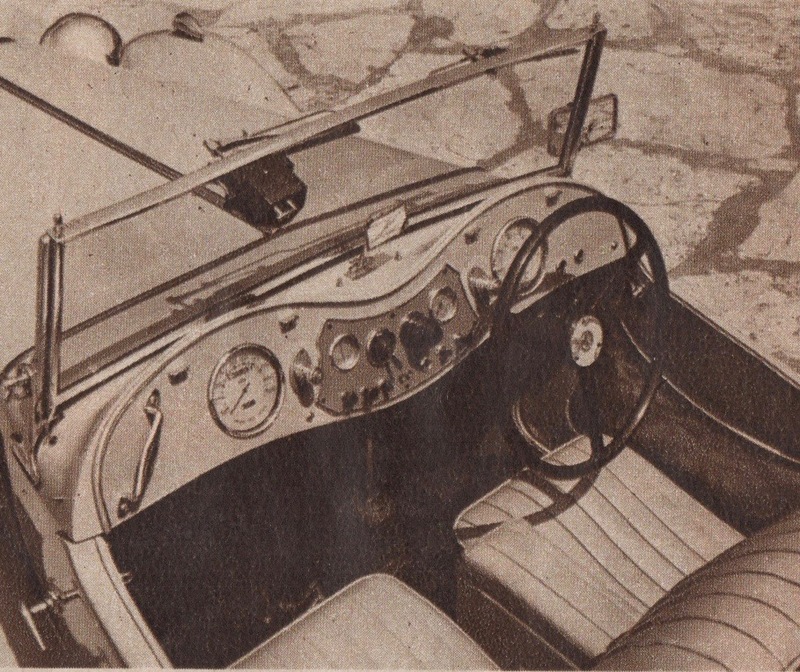 “TCs came with right-hand drive,” R&T reported, “but having tach and speedo widely spaced was more symmetrical than practical.” Other cars of the era shared this form over function. 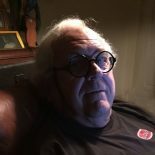 Dennis, thanks for paying homage to a classic. It’s all too easy to criticize the MG TC for what it is not. And the list is long. But it is a delightful little car with a disarming charm. Today it’s held to a different standard than when new, and I hope we continue to see them darting about on our back roads for decades to come. Dennis, I disagree with your “form over function” criticism of the MG TC instrument panel. The tach is centered behind the steering wheel for optimum viewing by the driver and the speedo with odo and trip odo is centered for optimum viewing by a rally navigator. A proper Sports car. Your assessment is a most rational one. It has also been said the speedo is there to frighten the passenger; the tach, to inform the driver. 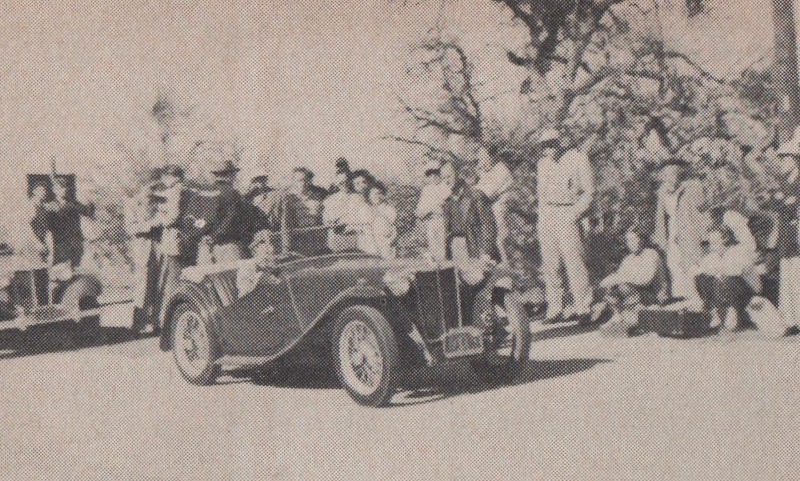 This entry was posted on December 6, 2018 by simanaitissays in Classic Bits and tagged Elaine Bond (wife of John) her MG TC, MG TC R&T Salon and Classic Test, Mike Cook quip about cramming fuel through itty-bitty four-cylinder, R&T October 1956.